UYU Ice Cream is the latest addition to Vancouver’s ever-expanding ice cream scene. 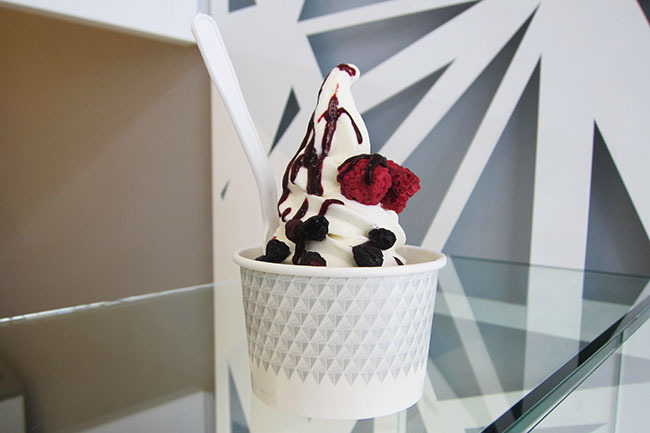 Located at 433 Abbott Street, UYU, which means milk in Korean, is an ice cream parlour that specializes in premium organic soft serve ice cream. Made on site using only organic and natural ingredients, UYU’s soft serve has been carefully crafted to ensure that each batch has just the right amount of sweetness. Available in a cup, cone, and soon an ice cream bar (which will also be made on the premises), UYU’s soft serve is light, fresh-tasting, and super creamy. The soft serve’s incredibly smooth texture can be attributed to the machine from which its poured. The machine incorporates quite a bit of air and doesn’t allow the ice cream to harden as much as regular ice cream. The result is a frozen treat with a wonderful airiness to it. 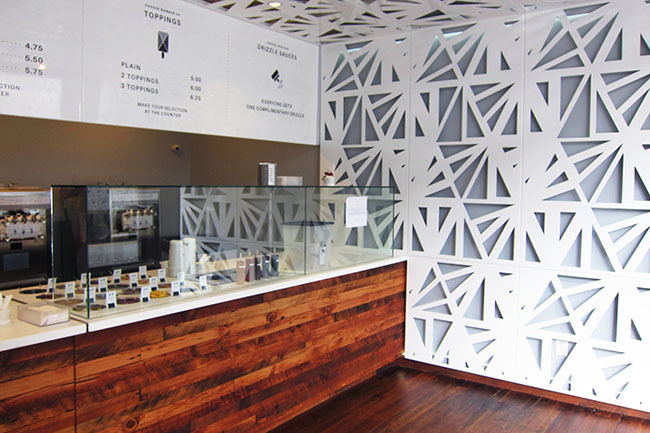 Customers who frequent UYU will have an impossible time deciding between an array of soft serve flavours, which include the ice creamery’s classic swirled Organic Milk, Earl Grey, and Belgian Chocolate. To enhance the soft serve’s flavour, the Gastown ice cream parlour also offers a variety of toppings, which include freeze-dried strawberries, blueberries, raspberries, orange slices, and banana chips, in addition to pumpkin seeds, almond slivers, honey roasted sunflower seeds, granola, roasted crushed peanuts, pecans, toasted coconut and black sesame powder. For a little extra kick, customers can choose to add a complimentary drizzle; sauces include honey, passionfruit, caramel, blackcurrant, and raspberry. Prices for UYU’s soft serve start at $4.75. Customers can treat themselves to a cup or cone of soft serve with two toppings for $5.50 and three toppings for $5.75. UYU’s hours of operation are Monday to Sunday, from Noon to 11 p.m.